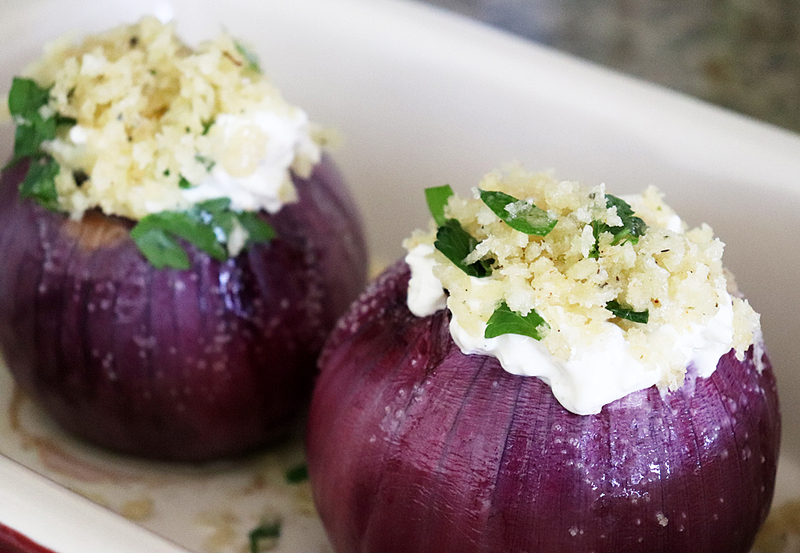 This recipe for Emeril’s Creamy Roasted Red Onions is a slight variation on the famous chef’s version, Roasted Red Onions Stuffed With Thyme Mascarpone Mousse. My version is slightly simpler AND completely vegan! 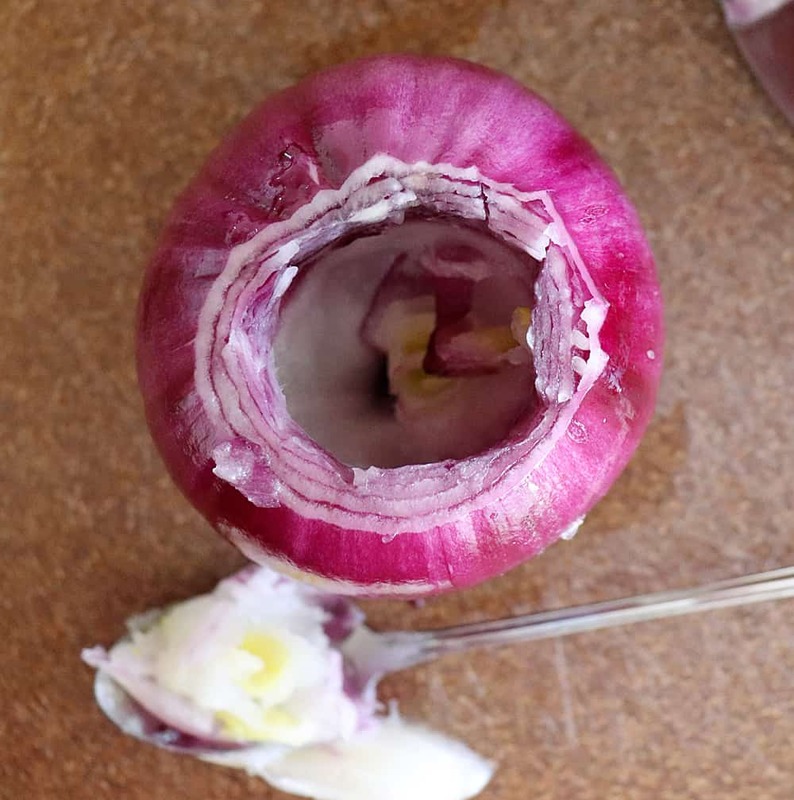 You’ll want to slice off the root end so the onion sits upright and is stable. 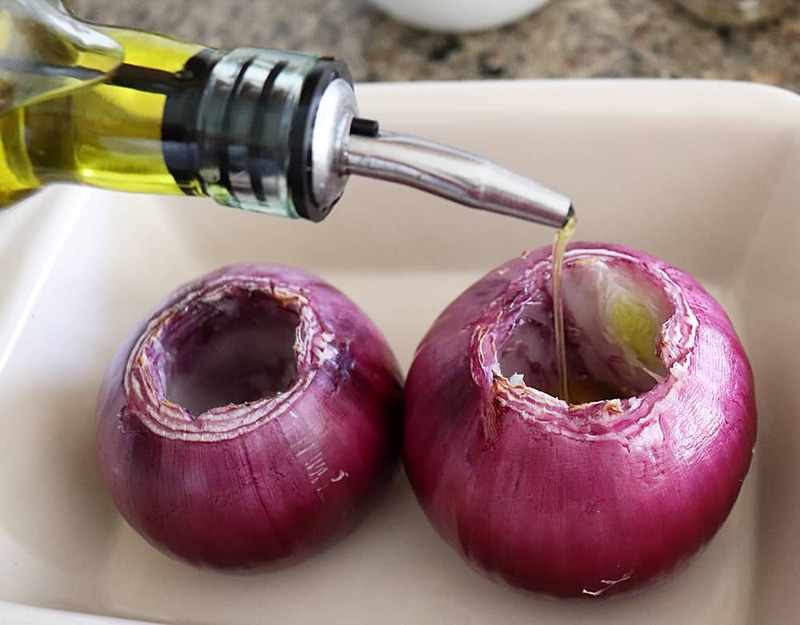 You’ll also be trimming off the top and coring out the center to make room for the filling, taking care not to make the walls of the onion too thin. 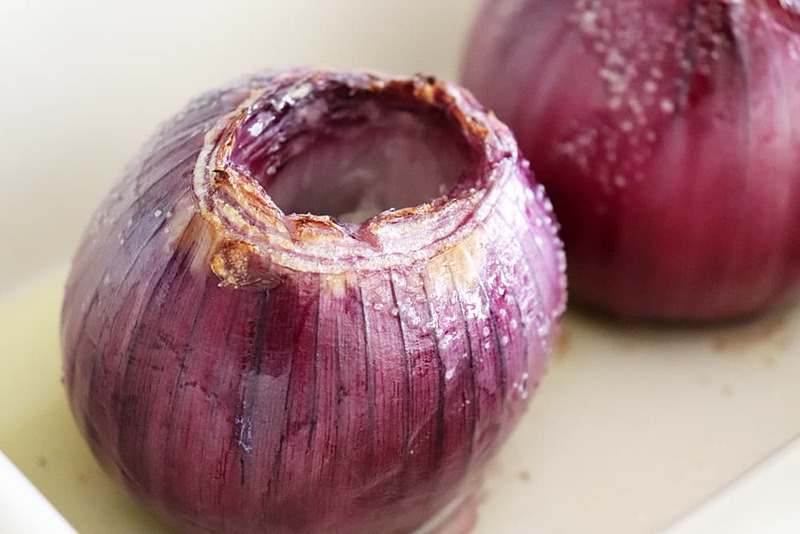 A drizzle of olive oil and a generous sprinkling of salt go onto the onion prior to roasting. After about 30 minutes or so, they look like this. 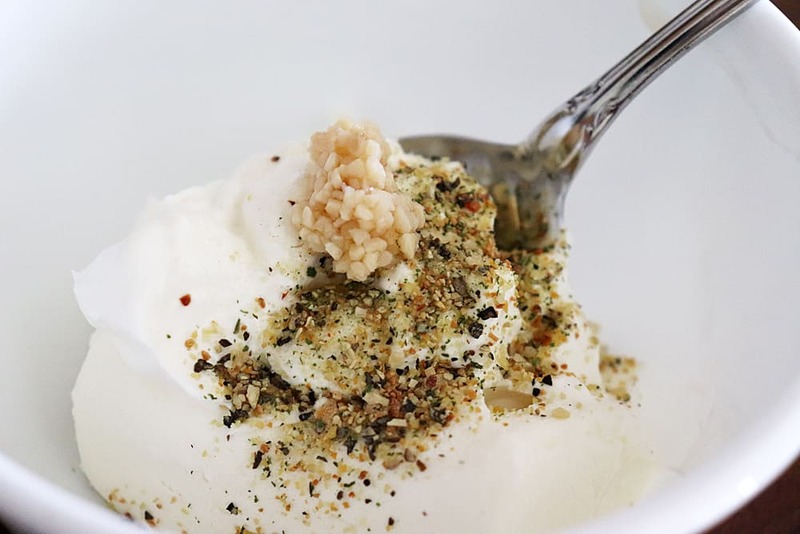 Combine all of the ingredients for the cream cheese filling. I am using a vegan cream cheese and a vegan sour cream. They work really well in a recipe such as this one! We’ve also got herbs in there, minced garlic and another pinch of salt. At this point, I also throw together the panko topping. It is simply panko, melted vegan margarine and freshly chopped parsley. Just give everything a toss until the panko are coated in the melted vegan margarine. Stuff the onions and top with the panko before placing back into the oven for about another 20 minutes or until the onion is tender and topping is golden. All ovens cook at different rates of speed, so I use a knife to pierce the onion for testing. Aren’t they pretty? 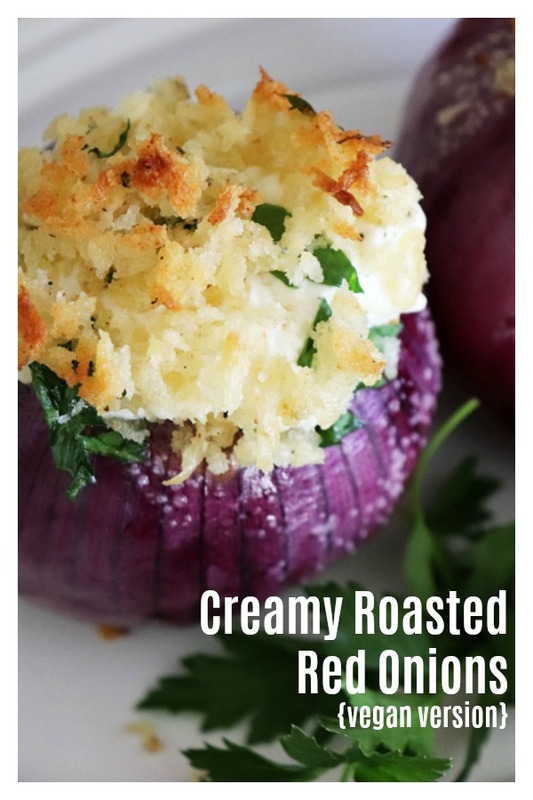 The onions become nice and sweet and that creamy cheesy mixture with the crunchy panko topping is just heavenly. 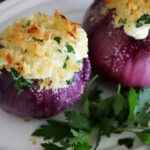 We loved these and what an awesome side dish this would make! 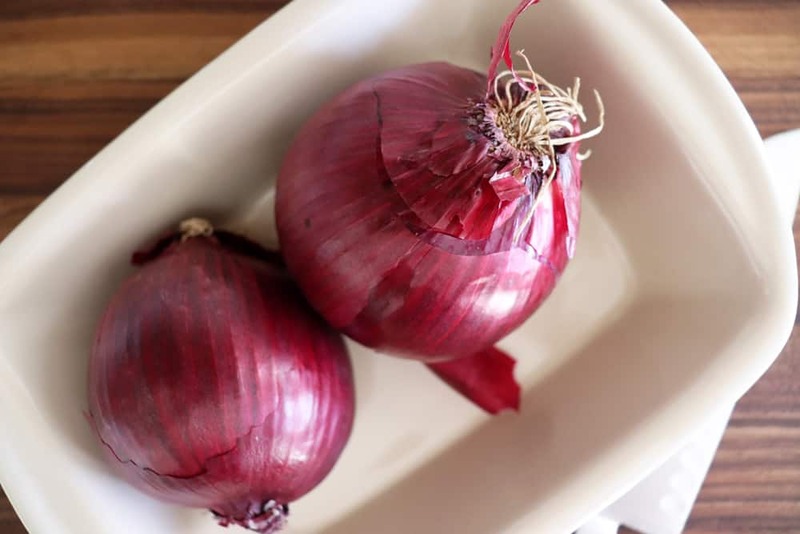 Did you try this recipe for Emeril’s Creamy Roasted Red Onions? Leave me a comment below and let me know what you thought. My take on Emeril's Creamy Roasted Red Onions, but as a vegan version using vegan cream cheese and vegan sour cream. You will absolutely LOVE this recipe! Peel, trim ends and core out the center of the onions. Place in baking pan and drizzle with olive oil. Sprinkle with salt. Bake for 40 minutes or until somewhat tender. Meanwhile, stir together the ingredients for the vegan cream cheese filling. 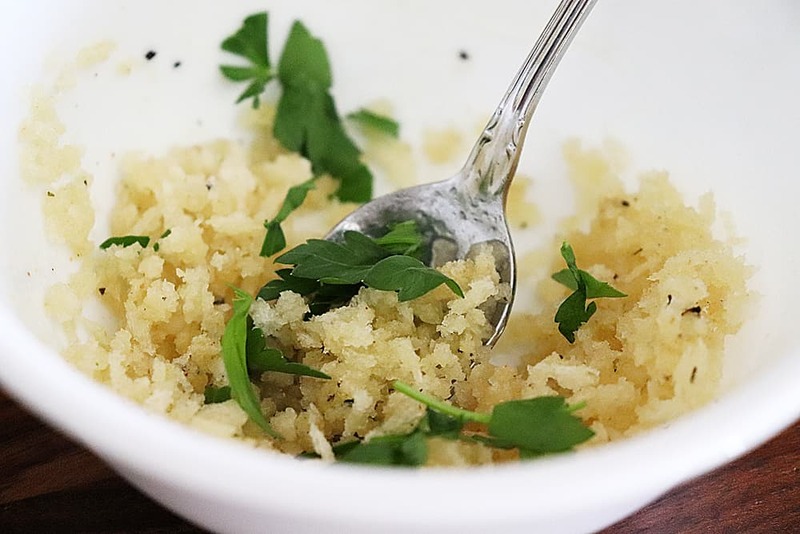 Melt the vegan margarine and stir in panko and parsley. 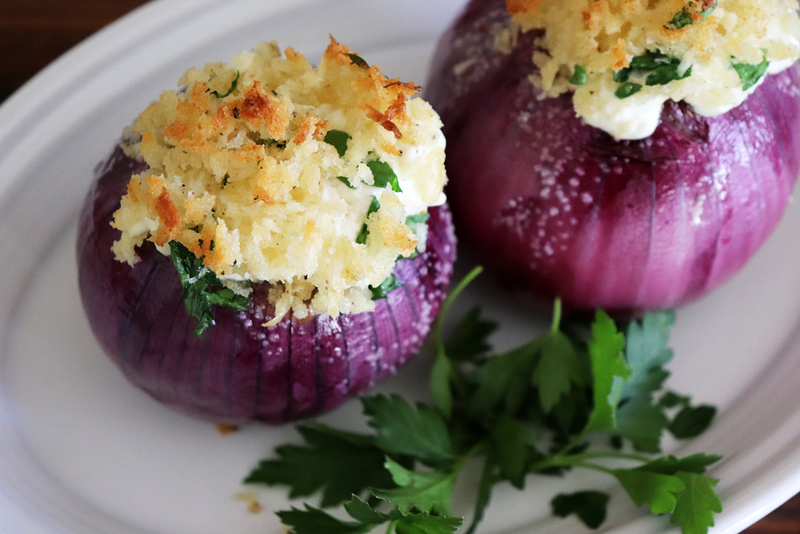 Top with the panko mixture and return to the oven, baking until the onions are tender and the topping is golden. This sure does sound good and I can’t wait to try it!